Fundamentals of the spiritual system of Kamit (Ancient Egypt), the Ausarian Initiation System. At its foundation is the knowledge that man is “made in the likeness of God,” which is to say that every aspect of man’s make-up is an exact replica of God’s make-up. As God successfully brings into manifestation everything in the universe, so can man in her/his “universe” (personal and social life). Man’s divinity, however, is at first, just a potentiality that does not actualize automatically or by itself. In addition, it is obstructed by the general and popular lifestyle that people have embraced from the beginning of time, and worsened in the present era. 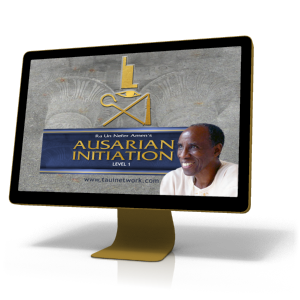 The Ausarian Initiation System is a successful means of actualizing man’s divinity, which will enable initiates to attain health, wealth, social harmony, protection and prosperity. Spiritual initiation does not consist of mere intellectual comprehension. It primarily involves changes in the spirit, brain, and energy-organ systems (as explained in the Taoist Life Science). Changes to these systems require focused work for at least a month, which is the reason for the monthly interval between the various classes making up the course. The courses are divided into different levels for the same reasons. Attempts to speed up the process will lead to failure in most cases due to the lack of “organic and energetic” support for the efforts to live the spiritual principles. Ra is the spirit or energy vehicle of God, and man. It contains the intelligence of how things are achieved, and the power to do so. The Ausarian initiation gives understanding of the ways of the spirit (Ra) to enable man to harmonize her/his will with the executive faculties of the spirit to guarantee the realization of life’s objective. 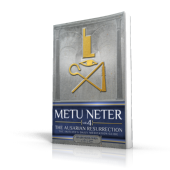 The Ausarian initiation is a 12 month course. Each month you will receive an online class.